My entry for Garheim LC8 - The Things of Nightmares. Here is the link to the forum topic. Ak can this count as a free build for November? LC8 is now closed. Keep an eye open for the winners as well as a new LC9, which will coincide with a category of the newly announced CCCX! Guys, I am sorry I have missed the last couple LCs, but maybe this can be a little compensation. I present to you Modrijeka Castle, located on Garheim's southern border a little bit west of Grahnhaven. Attention! The winner of LC8 "The Things of Nightmares" is............. Gurusql! 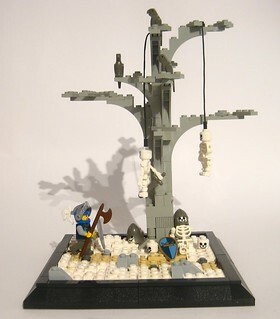 A great MOC and the story fit well with what I was looking for. Runner up is Konze for the "Woods of Pain". Crazycrownieguy, your story was good and the campfire portion of your entry was really well done, but your "creature" portion was a little small and simple compared to some of the other entries. 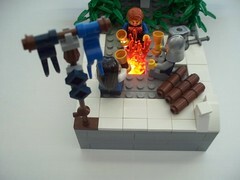 Brother Steven, I actually thought you had one of the best MOCs, but it wasn't really in line with a legendary terror as told around a campfire or as a scary story, which is more of what I was looking for. Lastly - Scores Updated. Please check your totals for errors / omissions. Greetings Citizens of Garheim. 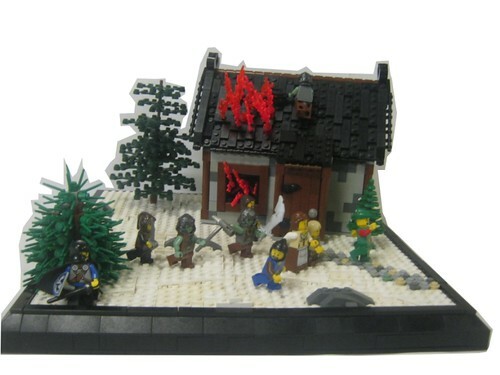 AK_Brickster has given me the honor of hosting Garheim's Local Challenge #9 – Fall and Winter in Garheim. The Challenge: As we move from Fall into Winter and the Colossal Castle Contest (CCCX) is upon us, this month’s challenge will have two parts. You are free to do either Part A, or Part B or both. 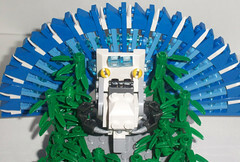 Part A – Create an entry for the CCCX Forest Life Challenge. Follow all requirements for the appropriate CCCX Contest. The full CCCX rules are found here with the category rules at this link. Your LCC character must be in the MOC. 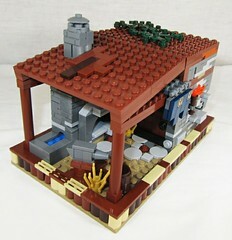 Including the Garheim standard is encouraged but optional for this MOC. After posting to the CCCX contest, then post a link to this forum so that I will be sure to include your submission for the voting. Deadline: 11:59 PM Pacific Time Zone, December 2nd. Any questions can be asked in this thread or PMed to me (gurusql). There will be winner and honorable mention for both Part A and Part B. Each winner will get 5 additional points and the Honorable Mention will get 1 additional point. Please note ranking in this contest does nothing to affect you position or standing within CCCX. Re: LCC - Garheim Official Faction Thread - NEW LC9! Here is a freebuild that I also entered into the CCCX. Last edited by Daken the Bladesmith on Tue Nov 13, 2012 10:54 pm, edited 1 time in total. Quick question- are we allowed to builds things for CCC that tap into the mythology/world and lore of Garheim and get free build points? Also, again, would this only be allowed if our character was included? We'll pretty much be accepting any CCCX build as a free builds for Nov. and Dec., but keep in mind that you should try to come up with a way to tie your character's development to the MOC, since that's the whole point of the LCC. 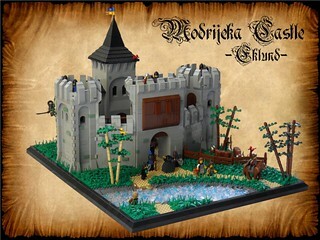 RichardAM wrote: Quick question- are we allowed to builds things for CCC that tap into the mythology/world and lore of Garheim and get free build points? Also, again, would this only be allowed if our character was included? Also don't forget RichardAM that LC9 is active and there are two categories that count for CCCX as well. I hope to see your entry! Here is my LC9 entry.